*MEASURES: Approx. 2 1/8" outside dia. .
*CONNECTION: Threaded, threaded connection dia. approx. 1 7/16th in.. This is an approxamation and doesn't state the thread count or actual threaded fit. 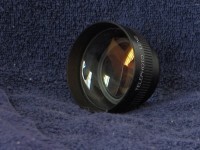 Buyer is responsible for making sure this lens will fit properly before the purchase. 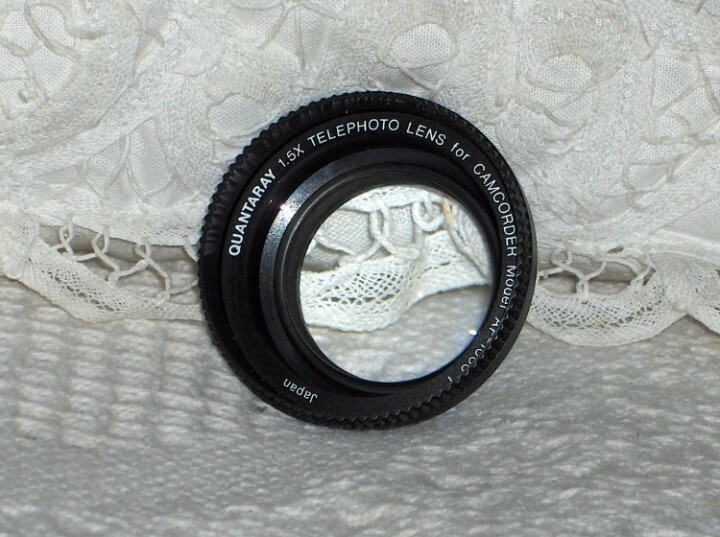 *CONDITION: Appears to be good used, no abnormalities noticed in the lens, lens body looks clean, threads were looked at with a magnifying glass and do not appear to be stripped. 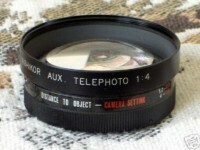 *HISTORY: This lens was used on a Magnavox camcorder in the early 1990's. The camcorder model it was used on is model #CVM710. This is an older style camcorder that used cassette type tapes. *A picture of the back will be sent upon request. *Buyer is responsible for making sure it will fit the camera it's being purchased for. The shipping weight will be 1 lb. A handling fee is charged to cover the time and any expenses associated with the packing and shipping of packages. Anything left is put towards the selling fee's.